Esarfa zebra si flori "Salvatore Ferragamo"
Esarfa din matase naturala, print zebra si flori. Tivita manual. Semnata in partea de jos. Cu eticheta. Articol original. Masuri: lungime - 86, latime - 86. Dimensiuni mari. Brand: Salvatore Ferragamo / Italia. Despre: "Salvatore Ferragamo (1898 – 1960) is the person who gave Italian shoes the reputation they enjoy today. Born in Italy, he went to the US as a teenager. He ended up in Hollywood, designing shoes for the movies, but in 1927 he returned to Italy and opened a shoe-making workshop in Florence. His career revolutionized Italy’s shoe industry by introducing a style and elegance which appealed to the best dressed in society. He was already exporting shoes back to America, as the stars he had been making shoes for continued to desire his work. Ferragamo is credited with many innovations in shoe design – the sandal, the wedge heel, and the use of non-traditional materials in shoe-making. After Salvatore’s death, the company was headed by his wife, Wanda, and their oldest daughter, Fiamma. 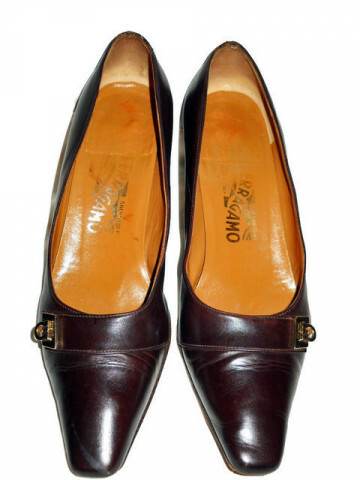 She is credited with developing the famous Vara pump in 1978.